The news came as the party’s “phoney leadership campaign” began yesterday with three modernising Tory MPs calling for the party to reach out to younger voters. The associations have no power to remove the prime minister as leader, but any motions passed by associations could force local MPs to push for change. One association, Clwyd South, Wales, has already scheduled its vote of no confidence for April 24. John Strafford, who runs the Campaign for Conservative Democracy, said associations could also pressure the party’s board under Article 17 of the party’s constitution to move against Mrs May. Article 17 says “the Board shall have power to do anything which in its opinion relates to the management and administration of the Party”. “If the party board wants to get rid of the leader, it can do so. It can do anything it likes,” said Mr Strafford. Mrs May cannot be formally challenged by Conservative MPs in Parliament until December, a year after the date of the last leadership contest, which Mrs May won by 200 votes to 117. 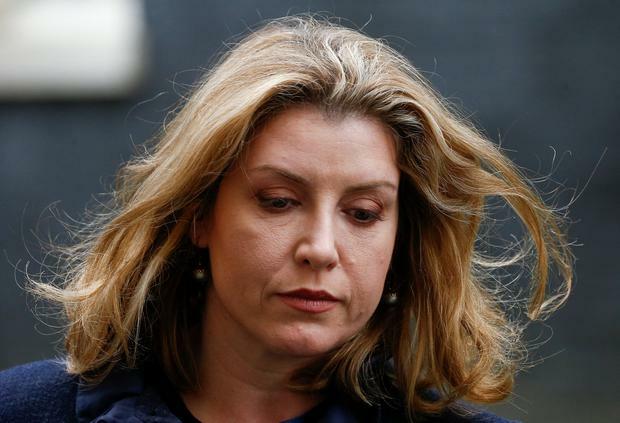 However, Conservative MPs including Andrea Jenkyns, Mark Francois and Lee Rowley are understood to have sent fresh letters to Graham Brady, the chairman of the backbench 1922 Committee, calling for her to go. He has pledged to pass on the concern to No 10. Separately, members of the 1922 Committee are secretly working on a timetable through which Mrs May would resign as leader by May 23, but stay on as prime minister. The party’s MPs would then select two candidates from the parliamentary party over the following fortnight, giving the membership four to six weeks to select a leader. The new leader would be in place in the third week of July when MPs are expected to break up for the summer. Mrs May has not yet been told of the 1922 Committee’s plan. One 1922 Committee source said that if Brexit was delayed for months and Mrs May tried to stay, “the barricades will open”, with MPs demanding she stand down. Penny Mordaunt, a likely challenger, made an appeal to the party’s pro-EU supporters, telling an event in Westminster “the greatest act of patriotism was by Remainers three years ago in accepting the result” of the EU referendum. Ms Mordaunt, the International Development Secretary, also called for an end to “hero politicians and a return to servant leadership” from the next party leader. Tom Tugendhat, the chairman of the foreign affairs select committee, added that “the next Tory leader will be someone under 50”.